Dealing with sensitive teeth in Waco, TX can be a real pain in the mouth. Sensitive teeth can cause all sorts of problems, especially when trying to enjoy your favorite foods and beverages. The tingling sensation can make its presence felt at the worst times. How your teeth became sensitive was most likely brought on by your own doing. Premier Family Dental is here to help cope with any tooth sensitivity needs. Five of the biggest causes of tooth sensitivity may surprise you. As your Waco dentist, Dr. Rick Cofer would like you to heed our tips on how to keep your teeth from becoming overly sensitive. Aggressive Brushing: Go easy on the hard brushing. It can wear down enamel and make teeth lose their luster. If you go through toothbrushes faster than floss, you may need to adjust your technique. Lack of twice-daily routine: When it comes to brushing, flossing and rinsing, taking a laid-back approach is the last thing you want to do. Forgoing all three can allow tarter to build up along the gum line to the point that it can only be removed by a dentist. Receding gums: If your gums are starting to pull away from your teeth, you may have receding gums. Sensitive nerve branches are exposed which means a bad time for you. Acidic diet: Your enamel could be stripping away with each taste of sharp-tasting and/or sour food and drinks you take. Aim to limit your intake. Sugary diet: Loading up on sugary treats like cookies and cake can accelerate the bacteria-growing process. Eroding gums is the last thing you want to deal with, so ditch the sugar. Don’t suffer from tooth sensitivity any longer in Waco, TX. Our expert team is here to help with any questions or concerns you may have. You deserve to enjoy your favorite foods and drinks without having to deal with any pain. If you’re looking for the best dentist, Lorena, Bellmead, Hewit, and Golinda residents know who to turn to for fantastic dental care: Dr. Cofer and his pro team. 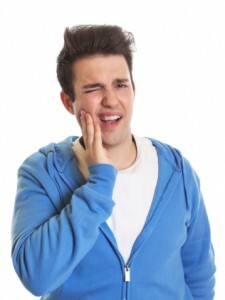 If you’re dealing with tooth sensitivity, you can find out how it was caused. Are you causing tooth sensitivity? Find out!